Already since the year 2000, the Chemnitz-based company ENCO develops and produces fascinating vehicle modifications for demanding customers. 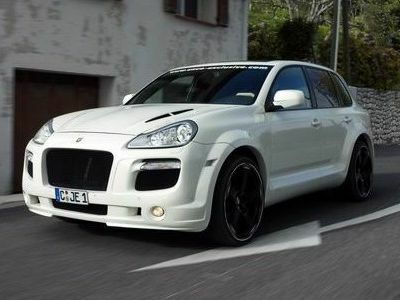 The latest creation of the Saxon designer is the ENCO 550 GT Biturbo and is based on the face-lifted Porsche Cayenne. Precise craftsmanship and a perfected technology are the hallmarks of the masculine aerodynamics pack as well as the powerful motor acceleration. Striking, black lacquered XXL-rims enclose the boosted sport brake system which matches the advanced requirements. An exclusive interior programme completes the refinement.